The title track ‘Never played a 45‘ is an ode to vinyl lovers because “there’s something about the feel of the vibe.” Previously released on a 45, the original Peckings label pressing sold out fast and is now highly sought after. The popular ‘Medical Marijuana Card‘ features an animated video which has amassed over 250,000 views. ‘Rasta Tell Dem‘ is already hugely popular and has been rinsed out by David Rodigan and others. The song recounts Rasta’s canny observations of things that are just now coming to pass. ‘African‘ is an astute social observation to the standard we’ve come to expect from Macka B; shedding light on the realities of Africa as the cradle of humanity. 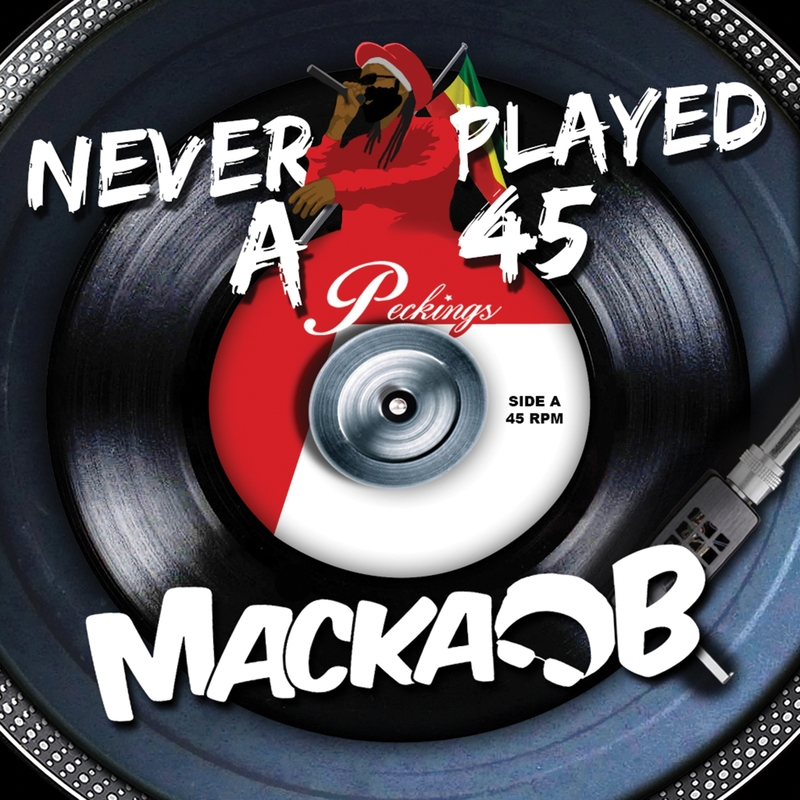 Download ‘Never played a 45‘ now.